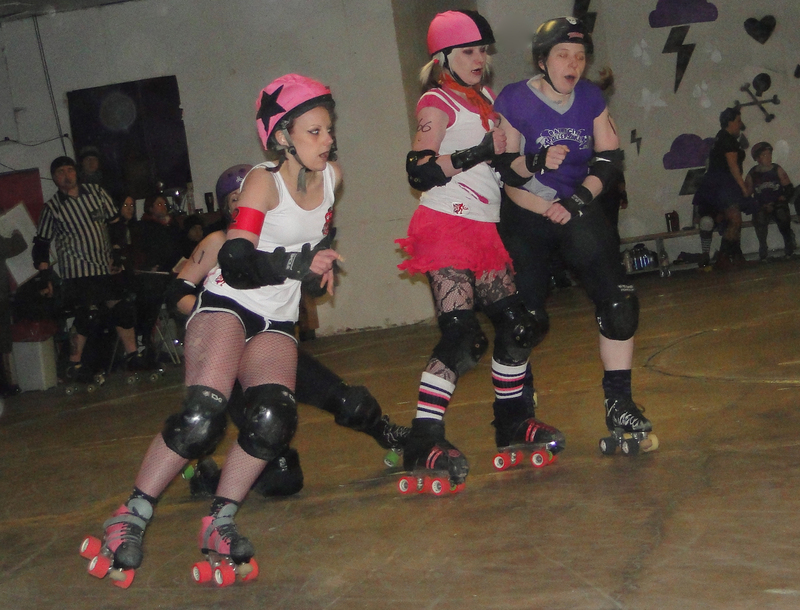 In their previous meeting, Central City Rollergirls (CCR) beat Rainy City Roller Girls (RCRG) by just one point, and at RCRG’s Thunderdome on Saturday 11th February it was clear both teams were hungry for a decisive win. Both teams had players who were part of World Cup Team England squad, and the bout started with one from each league on the jam line. The first few jams saw smart calling by experienced jammers, and by the start of the third jam there were no points on the board for either team. A power play in RCRG’s favour saw them taking the first lead of the day with the jam ending 17 – 3 to RCRG, but the tables turned and it was CCR’s turn to exploit a power play situation. A 25 point jam reversed the lead and took the scores to CCR 28 -17 RCRG. CCR retained their lead with tight pack work, and tenacious jammers throughout the first half and (a few power plays later) at the half time whistle they had extended their lead to CCR 118 – 69 RCRG. In the second half both sides were down on numbers on the track, and busy in the penalty box, yet blockers from both teams did exceptionally well – staying focused, being tactically aware and proving they could still hold their walls with less bodies making them. 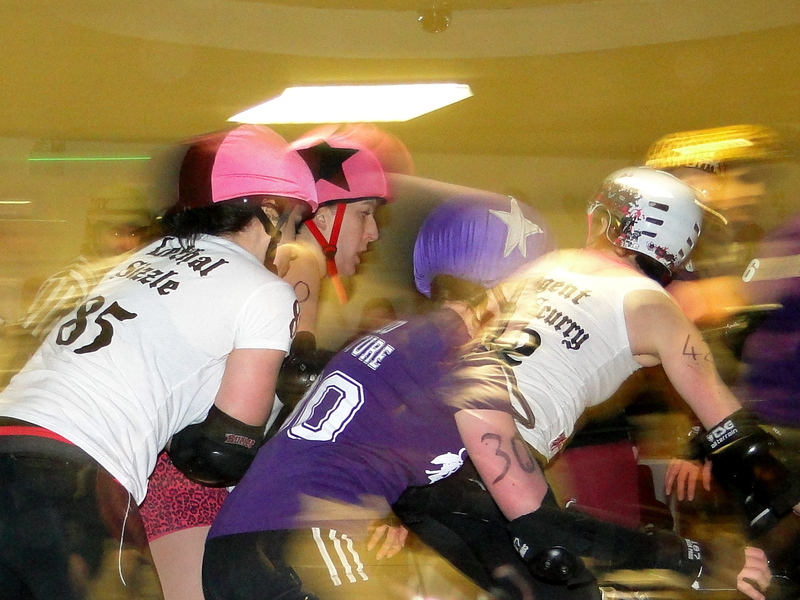 Although behind for almost all the game, RCRG didn’t give up, but the lead gained by CCR in the first half of the game was too much for them to make up with the game closing at 150 CCR – 113 RCRG.